Éleuthère Irénée du Pont de Nemours was of French nobility on his mother's side of the family, and learned the basics of chemistry from Antoine-Laurent de Lavoisier, the French government's gunpowder-maker. Du Pont stood with his father in defense of King Louis XVI and Marie Antoinette from angry mobs in 1792. As the French Revolution progressed the du Ponts were despised, and father and son fled the country in 1799. Settling in America, young Mr du Pont established the E. I. duPont de Nemours and Company in 1802 with funding from French financiers. Gunpowder made the company profitable, and made Irénée du Pont a very wealthy man even before the War of 1812 brought huge orders of gunpowder from the US government. 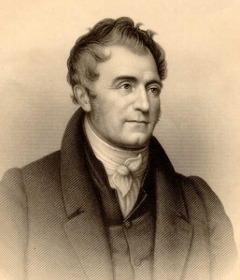 He also operated a wool mill, a cotton mill, and a tannery, and he became a director of the Bank of the United States in 1822. After du Pont's death in 1834, his sons expanded the gunpowder company, offering dynamite, nitroglycerine, and smokeless powder. The company is now the world's second largest chemical manufacturer, and the du Pont family remains among America's wealthiest.